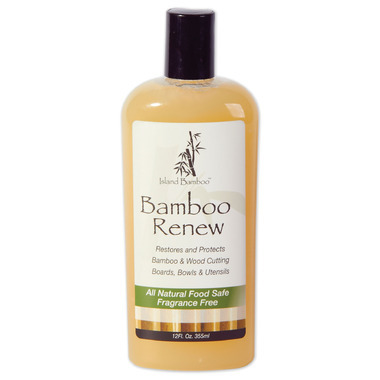 This Island Bamboo Bamboo Renew is an earth friendly choice to keep your cutting boards at their best. This is much nicer than oil because it has a thicker consistency and doesn't run off the board when applied. It rubs in well and leaves a very nice finish for both bamboo and cork.